First, you never know what is going on inside the minds and hearts of other people. We all have our secrete lives. We all have our thoughts that we would be ashamed of if someone else knew about them. I assume this was the case with Junior. This is the case with me, and I’m certain, you also. On a more personal note, no matter how bad your own internal thoughts are, you should not process them alone by yourself. Don’t allow personally destructive thoughts to fester. We all have them. Make sure when you have them, you tell trusted people around you about them. It is amazing that when you pull destructive, evil thoughts out of the dark and put them in the light for others to see, then these thoughts often lose their power. All indications are that Junior was keeping his destructive thought life to himself. Second, envy is stupid and often founded not in reality, but in fantasy. Junior had everything that guys like me want. Even though Junior was retired from football, he still had it all. Money, fame, looks, family, etc., Junior had it. It would have been natural for his friends, family, and casual observers like me to envy and want what Junior had. He had the kind of life which the rest of us fantasize. We would have been wrong. Junior was clearly tormented. Not sure why, but it is clear he was in a bad place. Life is too short and too good to envy others, even celebrities and those of means. We all have our problems. Live where you are in your life, with the people in your life, and by the means you possess. Don’t worry about what you don’t have. Finally, it’s been said many, many times before, but money, fame, looks, influence, and the other things we so often clamor and pine for DO NOT SATISFY. They never have and they never will. I think this is one of the reasons why I like shows like Mad Men. It shows worldly pleasure for what it is. . . ultimately bankrupt and severely lacking in final significance. In our celebrity fixated culture, we are programmed to envy lives that we don’t live. The “glamorous” is pushed upon us through magazines, TV, and the internet. Junior Seau was proof, once again, that what we think satisfies us, material wealth, notoriety, and even talent and professional achievement, does not ultimately satisfy us. Fantastic post and very well said. Thanks Hannah, I really appreciate it. Hope things are well with you! it’s true. we never know what’s really going on inside others… until we ask. and then, we might not get a straight answer…! John, thanks for reading! I have read everything you have put out since finding your blog a few months ago. Thanks for doing what you do. I love Standard Theme. Great post! Glad you shared your thoughts. Thanks for reading and the encouragement! JG, good thoughts. I am hit by the idea that you shared that everybody has a story…, a past, an unmet need, a hurt, a regret, an unstable home, absent parent (physical or emotional)….funny how easy it is for us to walk by so many people each dy and forget that simple idea, even more when we encounter the manifestation of it through remarks or actions. Julian, great point. As always, very insightful and well said. Thanks! I had forgotten about that scene. Very powerful. Thanks! Thanks, John. I needed to hear some of this. Chris, thanks for your comment. Really encouraging. Hope you guys are well! Well said, my brother. Definitely a great reminder that we never know what’s going on in other people’s lives unless we get in there and live it with them. Also, a needed reminder to process things and live life in the body of Christ. Thanks! Jim, funny you have read this. . . you were in my mind when I posted on twitter about Chinese basketball. Give Kelly my best. Gunter I must have missed this entry when you wrote it. So spot on. Thanks Erin. . . wrote it a while ago. 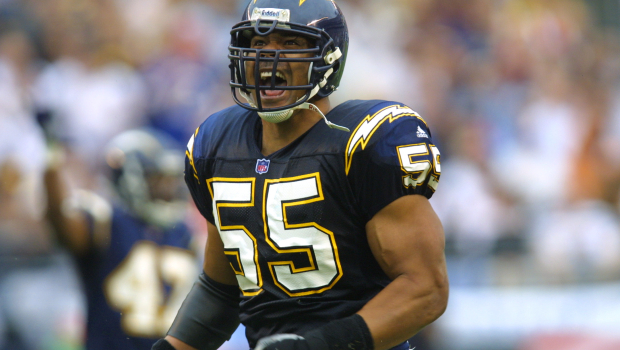 I really did love watching Junior Seau, so it was hard seeing him in this light.